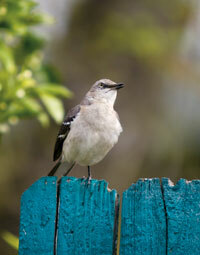 San Benito is a quaint city of 24,250 positioned between Harlingen and Brownsville in deep South Texas. Its location near the Free Trade International Bridge at Los Indios makes San Benito a perfect choice for commerce and business development, while its vibrant culture is revered by both residents and visitors. The community’s cultural community is anchored by the Narciso Martinez Cultural Arts Center and the Museums of San Benito—a unique history complex nestled within the San Benito Community Building. Included are the San Benito History Museum, the Freddy Fender Museum and the Texas Conjunto Music Hall of Fame and Museum. San Benito is the birthplace of Texas-Mexican conjunto music, which is not only celebrated at this fantastic museum but also at the annual Conjunto Music Festival, a one-of-a-kind, three-day event held at the cultural arts center in October. In addition, San Benito is an impressive destination for nature enthusiasts and is home to the unique Challenger Learning Center of the Rio Grande Valley. This widely acclaimed center promotes cooperative learning, problem-solving and decision-making in the areas of mathematics, science, information and technology. The core of the Challenger Learning Center is a two-room simulator, which includes a space station and mission control room designed after NASA’s Johnson Space Center, and a hands-on space lab. Other notable characteristics of the San Benito community include a low cost of living, affordable and quality housing, convenient shopping outlets and prime commercial and industrial sites. With all of this and more, there is no doubt the dynamic city of San Benito is poised for growth. 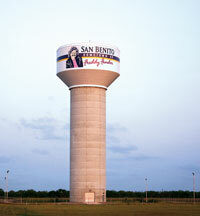 Learn more about the city by visiting the City of San Benito website, www.cityofsanbenito.com.